A prosecutor in Sweden is seeking a life sentence for the man accused of shooting a dissident Uzbek imam. The trial included bombshell testimony that appears to link the Swedish incident to the murder of another Uzbek cleric in Istanbul. The judge in the case ordered Zhukovksy to remain in detention until December 15, when the verdict is expected to be announced, Petersson told EurasiaNet.org. The trial featured testimony that alleged Zhukovsky’s Moscow associate, Tigran Kaplanov, with whom he was jailed in Russia for illegally possessing two pistols and a hunting rifle, was being investigated by Turkish police for possible involvement in the murder of another Uzbek imam, Abdullah Bukhari, who was gunned down in Istanbul in 2014. Nazarov had been a high-ranking cleric in Uzbekistan until the mid-1990s and at one point had been considered a possible candidate for the position of mufti. But he was forced to flee the country in 1998 in the wake of investigations into alleged links to radical Islamists. Human Rights Watch has cited people close to Nazarov as saying his troubles with the authorities stemmed in part from his refusal to serve as an informant for the security services. The cleric continued to criticize the Uzbek regime after gaining asylum in Sweden in 2006. The incident at the heart of the trial occurred in February 2012, when Nazarov’s nine-year-old grandson found him lying in a pool of blood on the stairs outside his apartment. He had been shot from behind as he set off, shortly after midday, for the Swedish mosque where he served as imam. On the trial’s fourth day, Johan Rainer – the lawyer representing Nazarov, as well as the cleric’s son, David – informed the court that he had received new evidence possibly linking the Strömsund shooting to a 2014 murder in Istanbul. “We got the information during the night that Tigran Kaplanov also figures as a suspect in the assassination plans against a group of Uzbek opposition figures in Turkey in December ,” Rainer said. Rainer told EurasiaNet.org that he had been in contact with an exiled Uzbek dissident, Muhammad Solih, who had allegedly been targeted by assassins in Istanbul. Solih informed Rainer he had been told by Turkish police officers that Kaplanov was a person of interest in the Turkish investigation into Abdullah Bukhari’s killing. Rainer acknowledged that he had not yet been able to confirm Solih’s testimony directly with Turkish authorities. 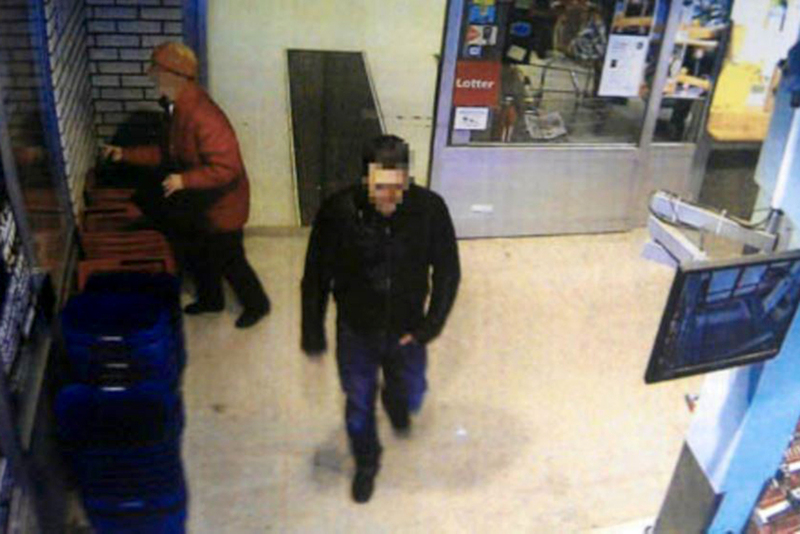 During the Swedish trial, Rainer showed a passport photo to Zhukovsky, and the defendant testified that the man pictured was the same Kaplanov with whom he worked in Moscow, and who had sent him money while he was in Sweden. Zhukovsky earlier stated during police interviews that he had been sent to Sweden by a man called Umidbek Aminov to track down a debtor. In court, Zhukovsky testified that Aminov and Kaplanov were one and the same person. David Nazarov, the wounded imam’s son, told EurasiaNet.org that he hoped the new information would be sufficient for Swedish authorities to issue an international arrest warrant for Kaplanov. Rainer said that the fact that Kaplanov is listed as a Russian citizen, rather than an Uzbek, on his passport would complicate any potential effort to prosecute him in Sweden. “They [Russian officials] don’t extradite their own citizens,” he said. In his defense, Zhukovsky claimed that he had been set up. He argued that the abundance of DNA, phone evidence, travel documentation and payment slips tying him to the scene proved he had made no effort to hide his movements. “I’d like to point out that all my visits to Sweden have been completely open, with genuine ID documents, my credit card, and my real phone number as contact information, both in the rental car contract and when I bought my ferry tickets,” he told the court. Defense lawyer Jorge Concha argued that the bag found in the snow outside Nazarov’s apartment building, which showed traces of Zhukovsky’s DNA both inside and outside it, and which held a Russian Nagant revolver, would never have been discarded by a professional killer. “If he was a hired gunman, why would he leave the bag, with his DNA and everything, five meters from the apartment? It’s not rational, it’s not logical,” Concha told EurasiaNet.org. He also argued that the absence of fingerprints or DNA on the weapon itself supported the theory that it had been planted afterwards in the bag, which Zhukovsky claimed he was asked to leave in an Internet café in a nearby town. In his summing up, Petersson, the chief prosecutor, noted that the main reason why the bullet could not be tied to the weapon was that it remained lodged in Obid Nazarov’s brain. Zhukovsky’s story, the prosecutor argued, would require the person or persons framing him to steal toothpicks and a cellphone charger holding his DNA and then leave them in the bag along with the revolver. Richard Orange is a freelance journalist based in Malmö, Sweden, and previously worked as the Central Asia correspondent for The Daily Telegraph.